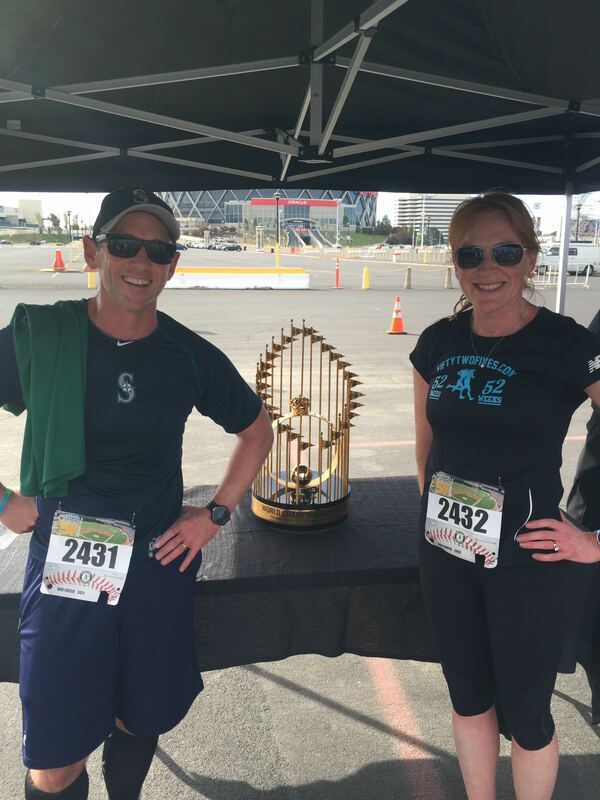 We ran the Play Ball 5k this morning at the o.co colisseum in Oakland, CA. That’s thirteen races in the books! I’m now a quarter of the way to the goal of 52 races in 2015, and so close to half way to our fundraising goal of $52,000 for the GBS/CIDP Foundation. Help us help people who suffer from GBS and related conditions by heading over here and donating! Lined up ready to start. There’s about 1,295 A’s fans, Selina, 3 other M’s fans, and I. 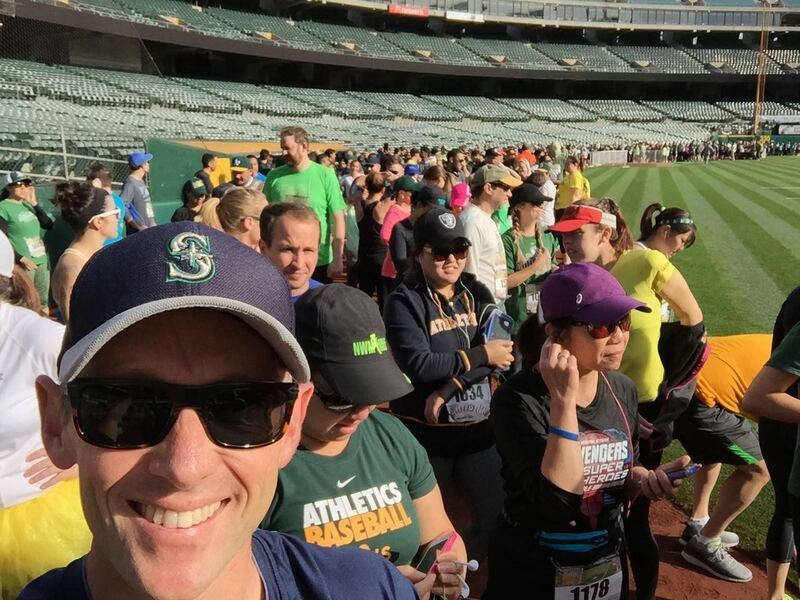 This morning’s run was a fun 5k race that started on the field of the Oakland Athletics, made its way around the warning track, and out onto the local surface streets near the stadium. The finish was in the parking lot. There were nearly 1,300 people racing today. 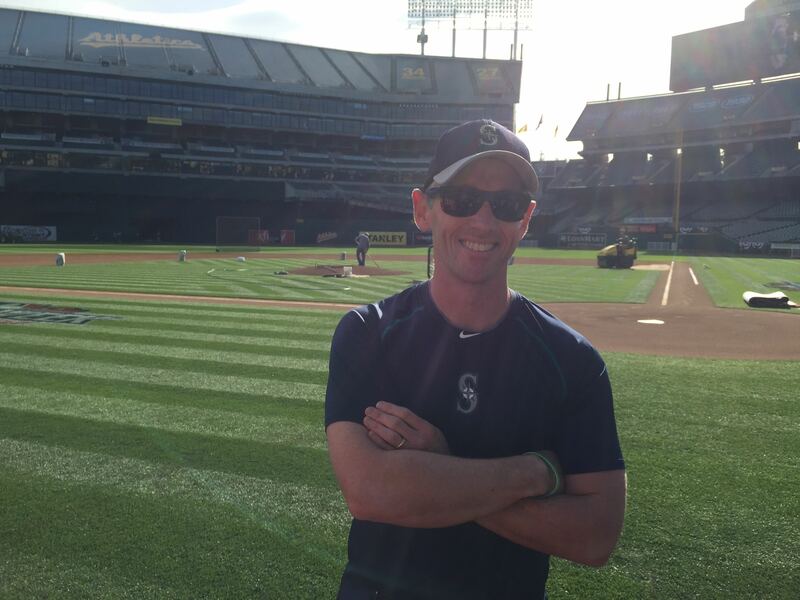 Because the start was on the warning track, people were lined up for miles waiting to start — as we left the stadium, there were still a few hundred people lined up waiting to get into the stadium, and they were probably more than 10 minutes away from crossing the start line. The quirkiness of the start made for an interesting race. I probably crossed the line in 10th place on “gun time”, but that later turned out to be 32nd overall on “chip time”. Selina and I took it pretty easy to be honest, we’ve got another 10k race tomorrow morning! My time was about 22:40. All of the participants got a cool A’s shirt, and a free ticket to today game between the *mighty* Seattle Mariners and the A’s. i wish I could have stuck around for the game — but I’ll definitely be listening to the dulcet tones of Rick Rizzs.